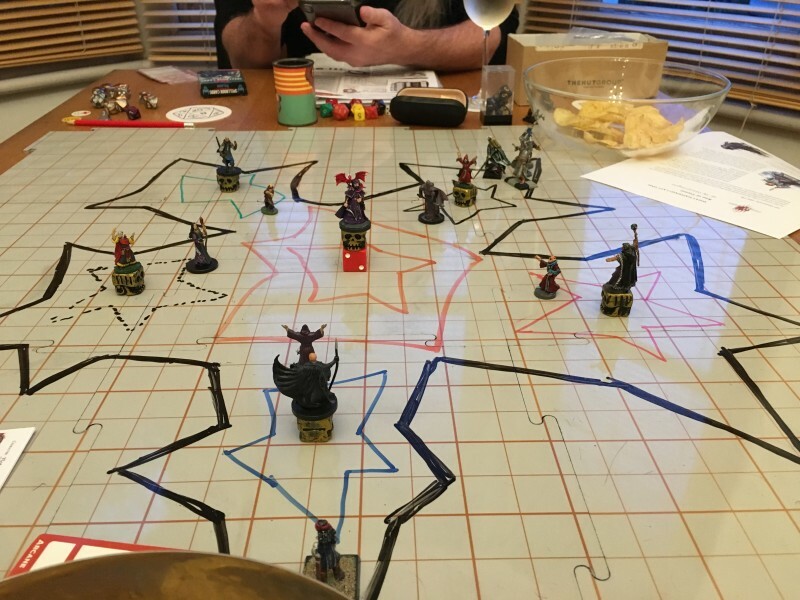 Here’s what happened in last night’s session of Hoard of the Dragon Queen as the party's caravan crossed the Fields of the Dead and entered the Trollclaws. Each PC gets 1,560 xp, bringing your totals to 6,000 xp, 500 xp short of 5th level. In the evening, Gwastdyn notices one of the "travellers" – a bald, swarthy fellow with a lazy eye, named Bartek – is watching Ug suspiciously. At first, the dwarf decides not to tell Ug and just shares what's he's observed with the other three PCs. Changing into a weasel with wild shape he sneaks up on the cult wagon and listens to Bartek telling his two companions that he thinks Ug is the half-orc who fought Cyanwrath in single combat at Greenest. He returns to the others and shares what he's learned with Ug too. That night while Crake is on watch, he spots Bartek sneaking up on the party's wagon with a spanner in his hand. The rogue wakes Turin who casts sleep on the cultist. The PCs grab hold of him, tie him up, and pull him into their wagon for interrogation. Rosie comes up with false names for the party (Brudd, Galadriel, Gruff and so on). When their captive tells them he believes "Brudd" to be a dangerous killer who needs to be brought to justice, Rosie pretends the PCs just hired him in Baldur's Gate. 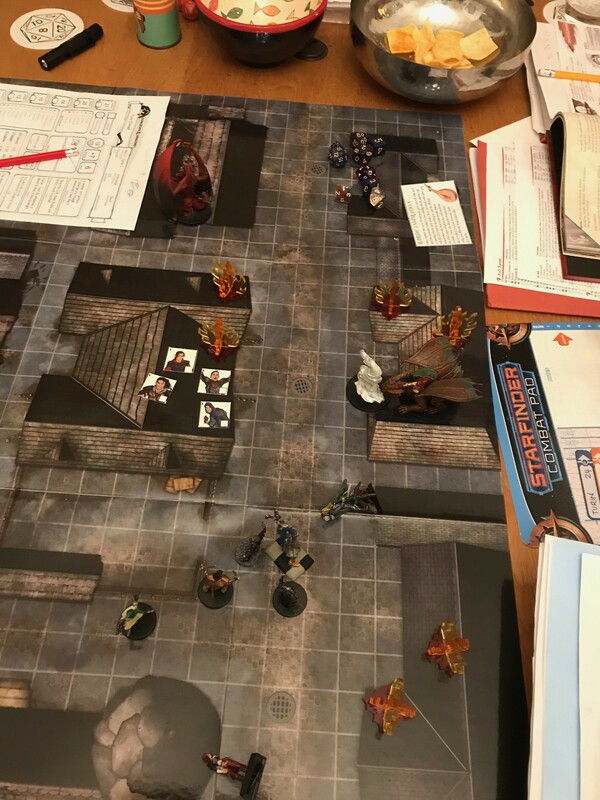 Bartek is clearly making stuff up, but the PCs are worried about "disappearing" him in the middle of the night, so they let him go with dire warnings of retribution if they catch him near their wagon again. The caravan camps for the night near ancient barrows. Zombies commanded by a wight attack as the merchants and guards sleep. Ug is on watch but is surprised and ends up surrounded by zombies. 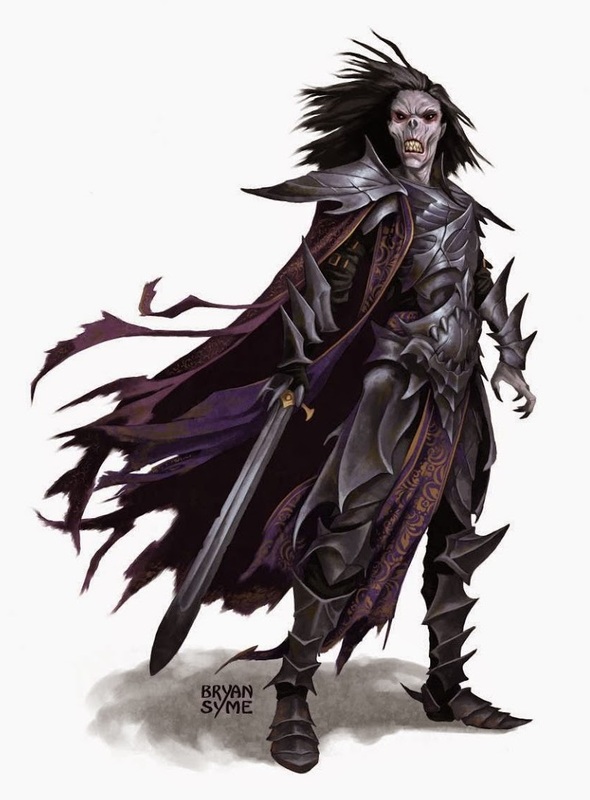 Crake wakes up and stabs the wight with his rapier – doing a critical hit for 23 hp. The hideous undead warrior drains life energy from Turin and Crake before Gwastdyn rams his flaming sphere into the wight, killing it. Once the zombies are destroyed, the PCs leave Sulesdeg the Pole to guard their wagon while they plunder the wight's barrow. They give the Pole a cut of the coins and gems; Turin attunes to the Mac-Furmidh cittern they find. When the caravan wakes up, they find that the continual rain has caused a huge carpet of fungus to sprout overnight, surrounding the camp and spreading onto the road. When stood on, the mushrooms give off black spores and shriek in pain. To make things worse, the fungi are growing taller as the PCs watch. Turin and Ug are both traumatised by the screams of the mushrooms when they are trodden on – all they can do is sob and rock back and forth. Crake pulls two 10 foot poles from his robe of useful items and he, Rosie, and the Pole clear a path through the fungus to the road so the wagons can get moving again. Turin and Ug have weird nightmares for the next few nights and develop an aversion to mushrooms. The caravan camps in the Trollclaws, not far from the ford. The PCs and guard set up a ring of bonfires around the wagons and Rosie casts alarm. During the night a troll triggers the spell – the loud, ringing bell sound is enough to drive it off. The caravan waits for highsun, then races across the ford as fast as the wagons will go. As their wagon starts to move, Ug realises that one of the wheels is starting to wobble. Sabotage! Rosie casts mage hand to hold the wheel bolt in place as Gwastdyn commands their still unnamed, (but charmed) horse to head across the Winding Water. 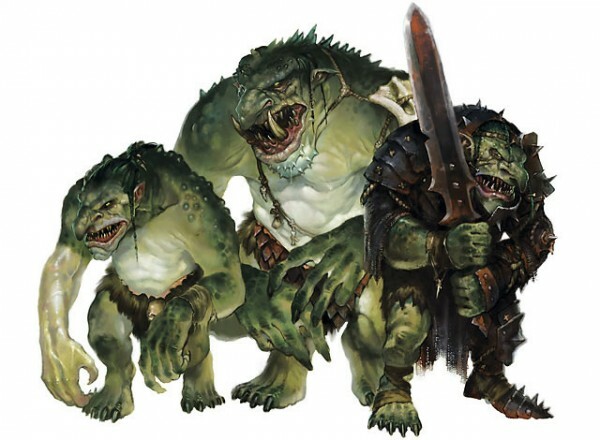 Three trolls attack the wagons as they cross the ford, forcing them to run a gauntlet of savage teeth and claws. Both Turin and Ug are badly wounded by a troll as they march alongside the wagon; the cultists lose a driver and a guard, and one of the merchants loses his halfing driver too. Turin casts dissonant whispers repeatedly to keep the trolls at bay, while Gwastdyn uses his flaming sphere to stop them regenerating, and Crake and Ug swing their blades. Meanwhile, Rosie keeps her mage hand tightly clenched on the loose wheel bolt. The PCs make it across, slaying two of the trolls as the caravan reaches the other side. The third troll gives up and withdraws to its lair.